We started our Collision 2018 coverage with Jose Rosas from PaySmarter. This payment platform is starting out in Chile and is designed specifically for Latin American communities. 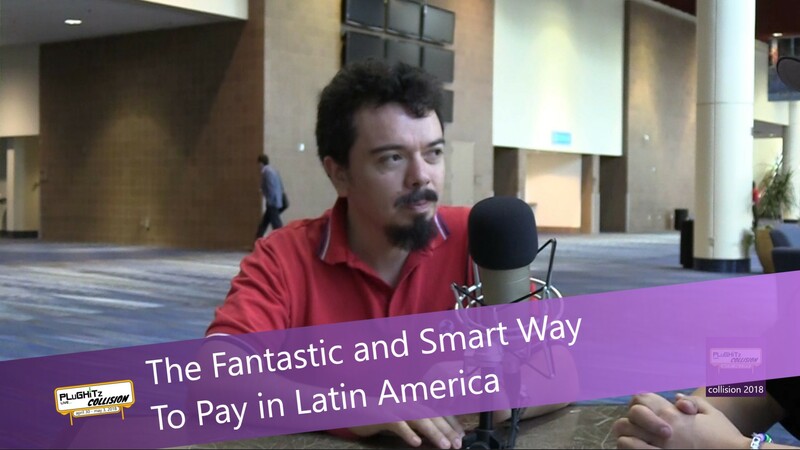 Although most of us in the United States have become quite familiar with this type of payment platform, it is not something that is common in Latin America. Almost everything they purchase is done so by using cash. This can, of course, be dangerous, especially in large amounts. So being able to pay for products and services using their cell phones is something that offers convenience as well as security. Jose was very passionate about this project because he knows first hand how important it will be to millions of consumers in Latin America. Bank debit and credit cards are not readily available to the majority of the citizens, especially those who are not in the largest cities. Therefore, they tend to feel left out. The ability to securely pay, using a mobile device will not only help with this but also create a necessary expansion in eCommerce in that part of the world. They are currently in the process of getting retailers and service providers on board. They feel that Chile is a great test market and by partnering with mass transportation companies, they are well on their way. Based upon the total population in the large cities alone, they expect to have about one million people using the app within a year. Their efforts are connecting safety for both people and companies. It also leads the way for peer-to-peer transactions that will make their population feel more included without the costs involved using bank cards. They also have several complementary products on the horizon that involve big data and predicting buying behaviors. They expect, over time, to get much larger and involve enhancements like automatic purchases and even A/R by utilizing the infrastructure that they are currently creating. To get more information on the current pathway of the company, please visit their website.